Tailgating comes with everything from grills, smokers and coolers are all necessary for the perfect tailgating party, but these supplies can take up a lot of space if not stored properly. 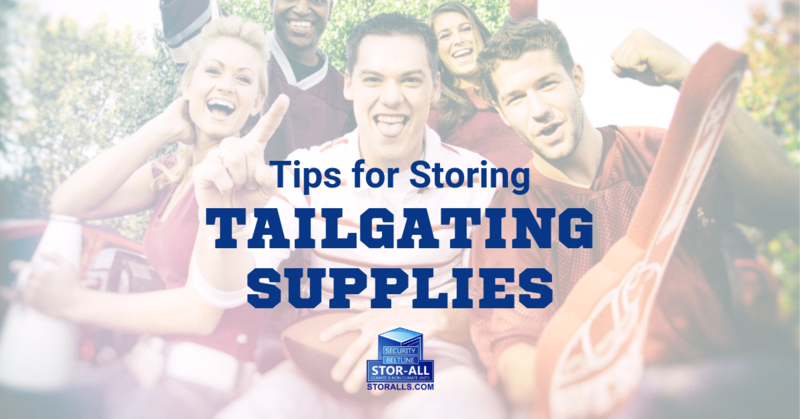 Get ready for game day with these top three tips for storing your tailgating supplies. Your tailgating gear comes in a variety of shapes and sizes. Everything from utensils, tablecloths, dishes and cookware need to be stored correctly for easy access. Storing everything in one big box would make transportation from game to game nearly impossible. The top tip we can provide is to invest in a few clear, covered, plastic bins for storing your supplies. These containers are built to hold a variety of items including heavy cookware. They are stackable and come in many sizes. A clear box also lets you see what is inside instead and they protect your things better than a cardboard box or plastic bags. Now that you have everything packed, it's time to research the best storage unit options for your items. A non-climate controlled unit is perfect for storing items that would typically be kept in a garage. Everything from a grill to table and chairs can be stored in one of these units. 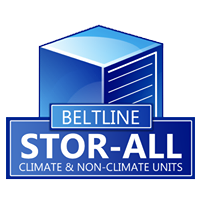 Visit Beltline and Security Stor-Alls for our selection of storage unit sizes. Once you have everything packed away in their proper containers, make an inventory list of what is in your storage unit. This will help keep you organized for next year’s tailgate. After the tailgating season has ended, give your gear a good cleaning. Food residue can attract insects and rodents while salt left on the grill grates can cause rust. Thoroughly scrub the grill grates and racks and make sure to wipe down the inside. You may also consider pressure washing your smoker or grill to remove grease and residue. Lock your larger items away in a non-climate controlled storage unit until next years use. Avoid storing any flammable equipment in your storage unit. Propane tanks, propane, lighter fluid or anything else considered flammable should never be stored in the same space as your gear. Store your propane tank outdoors and keep in an upright position. Use fresh lighter fluid and propane each season instead of substances that have been kept in storage for some time. Remove batteries from items like flashlights, lanterns or radios. The batteries could leak causing damage to your belongings. Make sure all of your tailgating supplies are stored properly in the offseason. It could make all the difference for next years game. Stop by Beltline and Security Stor-Alls for all of your tailgating storage needs. If you have any questions about available storage space for household items, appliances, boats or RVs, contact Stor-All today. We provide all types of solutions for home and business owners in Mobile, Alabama and the surrounding areas. Call us today at 251-343-6999 and reserve your storage unit! Check out Beltline and Security on Facebook, or visit us online at www.StorAlls.com! We have units from small to large, that are climate controlled. You may only need us for a few months, or you may find that our units fit your long-term plans. Give us a call or come see us and protect your treasures!